Aram Khachaturian, the most well-known of all Armenian composers, believed that art should be closely bound to the people and indeed it was a pre-requisite for his own creative inspiration. Largely uninfluenced by the manifold trends of the 20th century, Khachaturian’s works reflect the folk heritage of his native country. In the two richly orchestrated ballets, which he himself later arranged into suites, we find the musical spirit and customs of an ancient culture. In particular the unrestrained exuberance of the Sabre Dance from Gayaneh has contributed to the immense popularity of this suite. 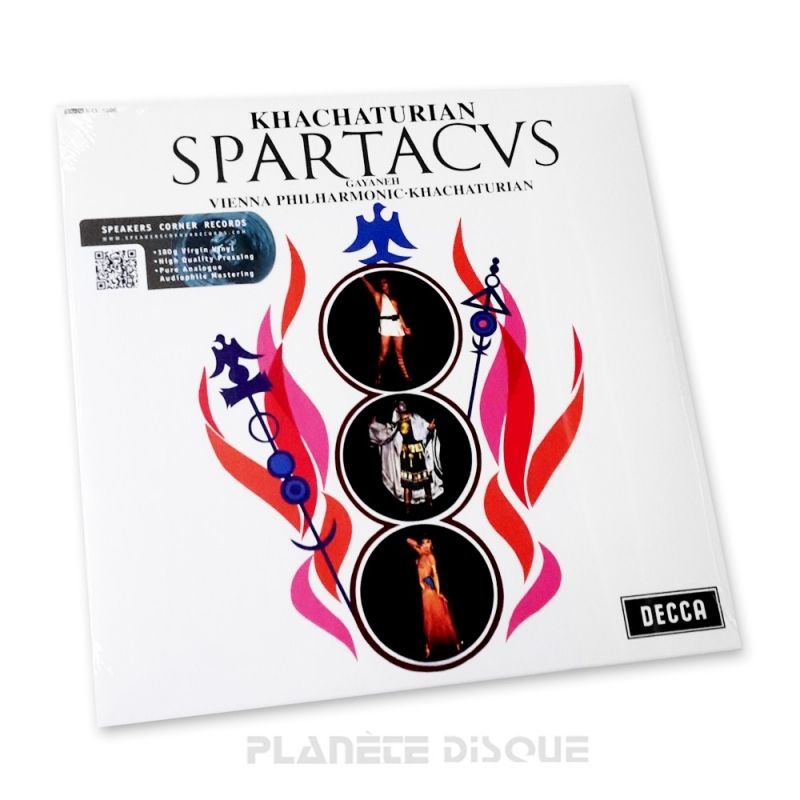 The ballet Spartacus could be described as a monumental historical drama and made Khachaturian one of the Soviet Union’s most highly honoured composers. That a slave uprising can not only be expressed in music but can also take place on an international dimension is admirably demonstrated by the maestro personally in this recording where Khachaturian takes on the role of leader of the Vienna Philharmonic Orchestra.